Elfrida Zetterman, 83, wife of the late Gordon Zetterman, died November 2, 2018 at Caribou. 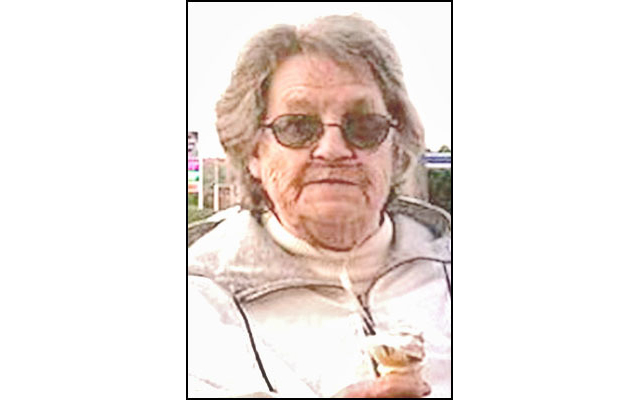 NEW SWEDEN, Maine – Elfrida Zetterman, 83, wife of the late Gordon Zetterman, died November 2, 2018 at Caribou. She was born in New Sweden, the daughter of the late John and Hazel (Groundin) Strid. Mrs. Zetterman was a member of the Gustaf Adolph Lutheran Church, and was a loving a devoted wife, mother, and grandmother. She is survived by four sons, Daniel Zetterman and wife, Debbie of Waterville, Jerry and Frederick Zetterman, both of New Sweden, and Linwood Zetterman and wife, Catherine, of Millinocket; seven grandchildren; 16 great-grandchildren; and several nieces and nephews. Mrs. Zetterman was predeceased by her husband, Gordon in 2013; an infant brother; a brother, John Strid; a sister, Mildred Proctor; a daughter-in-law, Vickie Zetterman; and a grandson, William Zetterman. Graveside services will be held 12 p.m. noon Friday, November 9, 2018 at the New Sweden Cemetery. Following the services all are invited to a time of continued fellowship and refreshments at SVEA Hall – Gustaf Adolph Lutheran Church. Friends who wish to contribute in memory of Mrs. Zetterman may do so through the Jefferson Cary Foundation, Hayward Suite, P.O. Box 89, Caribou, ME 04736. Arrangements by Mockler Funeral Home, Caribou.